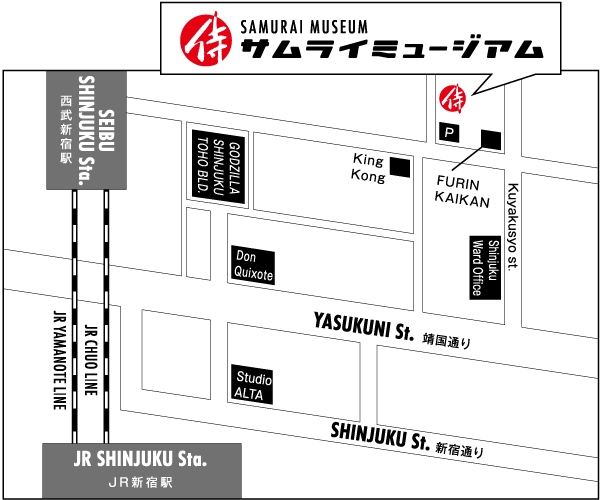 We are hosting Samurai Live Music Show every Fri,Sat and Sun at 20:15! >> If you like to make a reservation, click here! >> If you like to know the detail, click here! Their belief that honor was more important than their own lives shows that the samurai were not simple soldiers, but honor-bound warriors. The beauty of the samurai spirit can be seen in Japanese swords and armor. Our goal to connect visitors with examples of this samurai spirit from past and show how it permeates into the lives of modern Japanese people as well. About 700 years of samurai age (from Kamakura to Edo period), Japan had been faced crisis. We introduce those brave samurai warriors and their spirit confronted the difficulties to not only Japanese people but also all people visiting from foreign countries. We are very happy if you can see what samurai spirit is and feel their spirits still living in today’s Japanese people. We are opening our museum as usual during the winter holiday season(2018/12/24 ～ 2019/01/03).